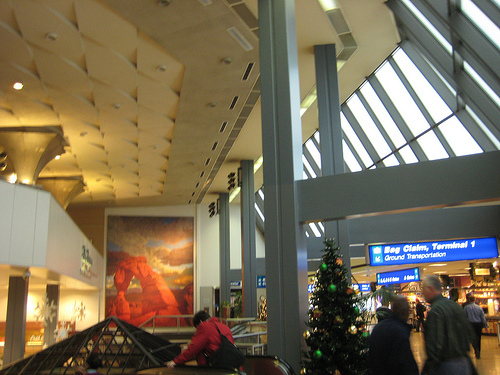 Salt Lake City International Airport (SLC) was initially used more as a training and aerobatic airfield than a commercial airport. In 1911, aviator Glenn Curtiss brought his newly invented seaplane to SLC. Its capabilities had never been demonstrated in public before, and the crowd was amazed when he took off from the Salt Lake. In 1920, the US Post Office began airmail service to SLC and the airport began to expand into its present day incarnation. Looking for an International Air Quote for Salt Lake City? Air freight service agents are always available to discuss your air freight needs. In 2008, SLC handled 172,312 tons of cargo. There are plans to expand the current cargo facilities. The most recent improvement has been a new cargo complex and processing facility, which opened in 1998. SLC has one of the best on-time records in the US. They also have the least amount of cancelled flights despite SLC’s location in the heart of the Rocky Mountains.